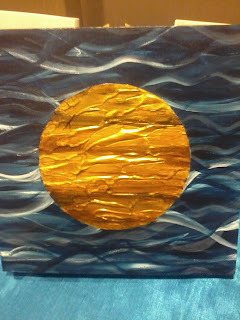 I’ve always had the penchant for visual arts. 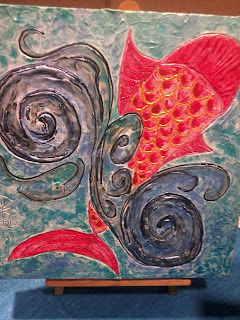 Through the years I have enjoyed going to art exhibits but sadly I never had the talent to create my own. To compensate for such, I can probably say that I’m blessed to be given another gift—that of creative writing. I had the talent to weave stories out of everything. 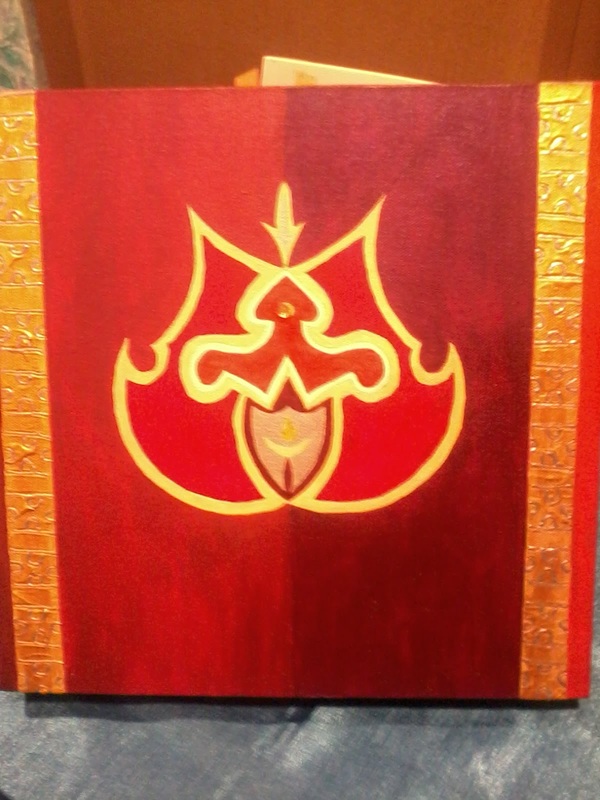 But then again, that’s a different art. So each time I am invited to go to an art related event—much more if it’s an invite from my former college instructor turned visual artist, Ms. Juno Parungao, that’s certainly something I do not want to miss. 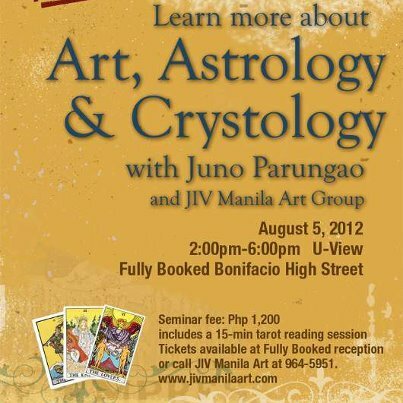 But before I further discuss the Art, Astrology and Crystals seminar workshop I recently went to, allow me to introduce who Juno Parungao is. Visual artist/psychologist and astrologer Juno Parungao. 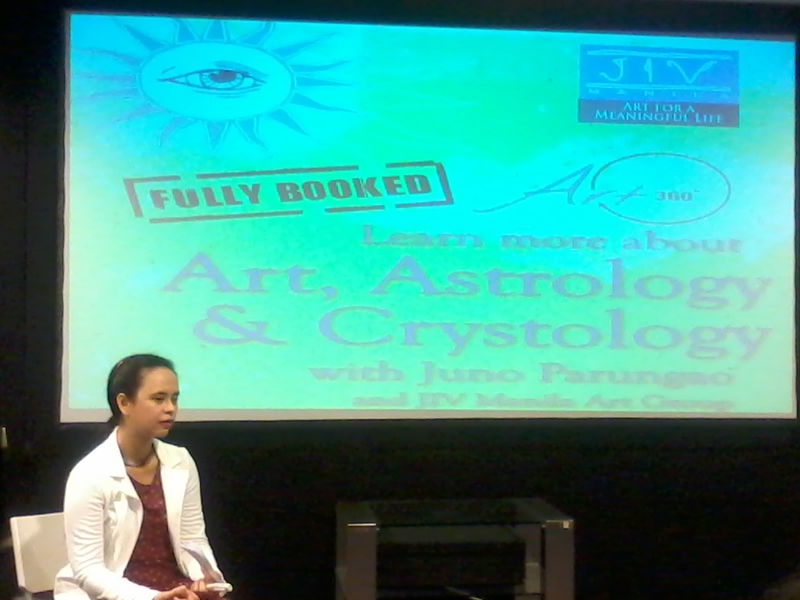 Christened Joanna Eunice V. Parungao, she is now more popularly known as Juno Parungao—is a psychologist, astrologer, crystology, educator, scholar and painter. She is also one of the founding members of JIV Manila Art Group or JIV Manila—a collective of artists, scholars and art consultants forwarding contemporary art practice and appreciation. 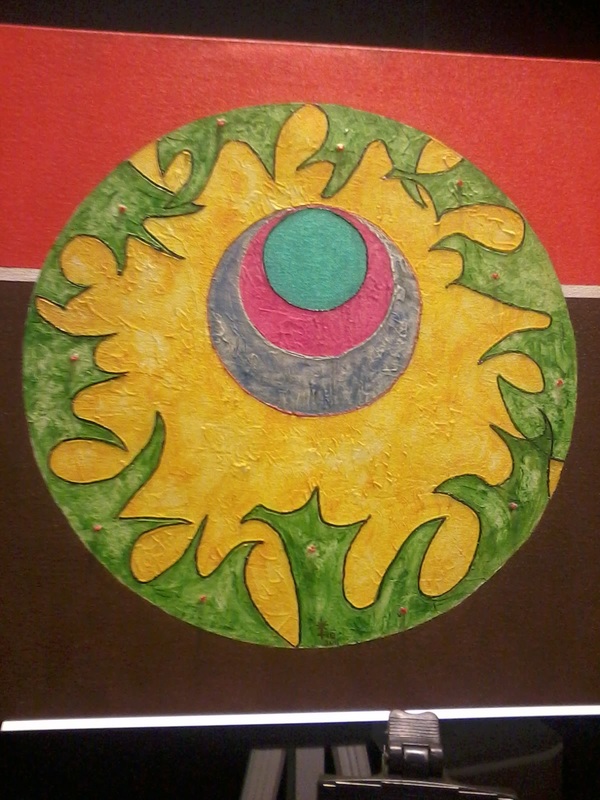 Parungao is also known for her non-objective paintings based on astrology and psychology. In case you are not yet familiar with her, you’ve got to know her because she is the only artist who does astrological portrait in the world! Yes, she could make and create a portrait based on your birthdates, time of birth, and personality. 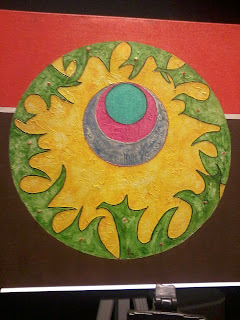 Parungao also merges Western and Eastern astrology readings and gems in filling up canvasses with philosophical visualizations through a play of colors and textures utilizing other tangible materials such as stones, beads, papers and found objects. 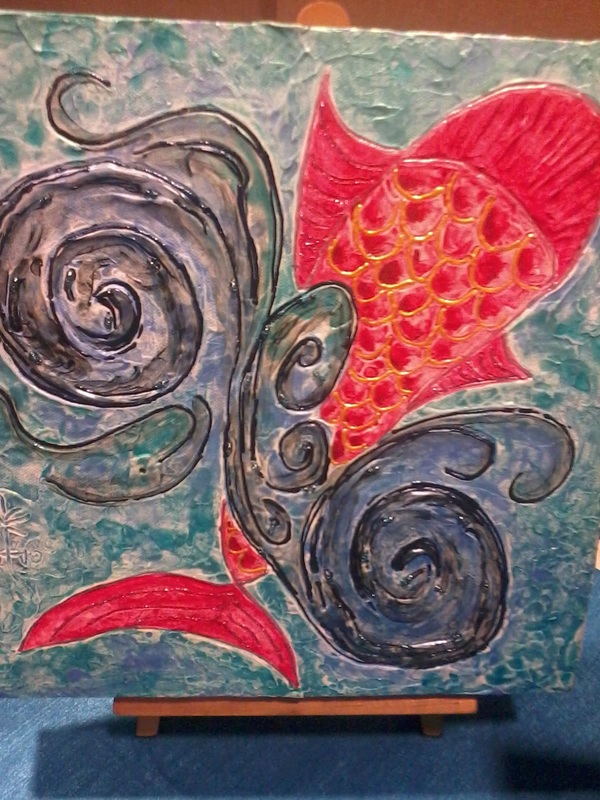 Her astrological portraits, portal paintings and after-crystal paintings have been around the metro since 2008. Artist/psychologist Juno Parungao with blogger Alwin Aguirre. Juno started collecting stones when her family went to Baguio City as a child. Her interest in crystals and precious stones began in her early puberty, around 11 or 12 years old. At such a tender age, she already had understood that these precious stones have a “life” of their own. It’s quite expected that she eventually incorporate her fondness for these stones into her art. So going back to the Arts, Astrology and Crystals talk Juno Parungao had last August 5, 2012 held at the U-View of Fully Booked in Bonifacio High Street, Taguig City. 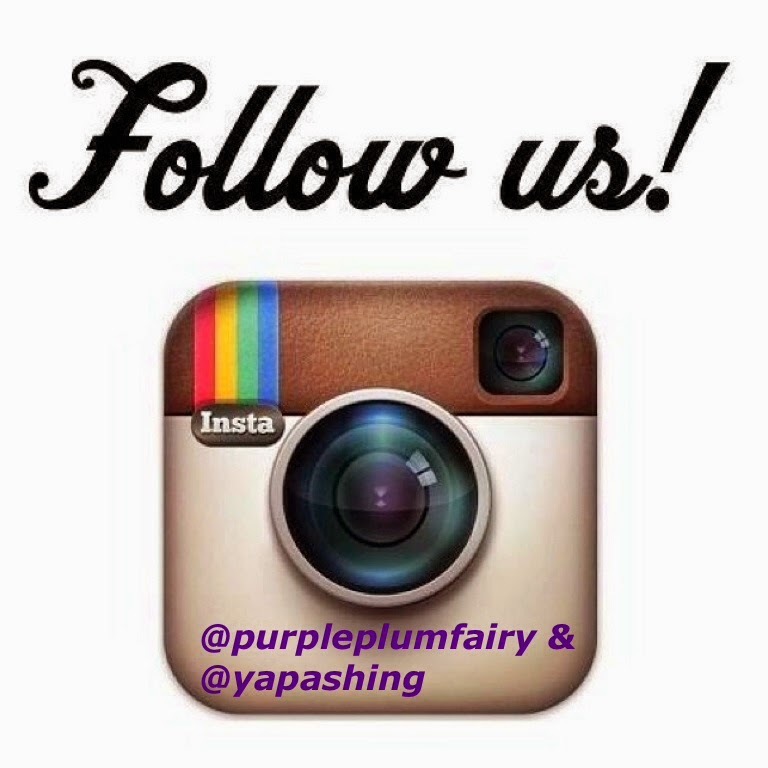 Purple Plum Fairy had been one of the lucky five bloggers invited by Ms. Parungao. In the said seminar, Ms. Juno discussed the origins of crystals, the different beliefs on them and the power these precious stones and gems could create which could benefit us all. 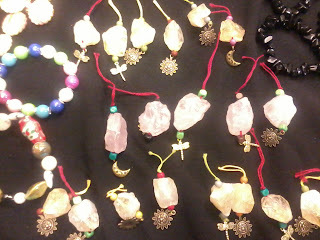 She had also covered the different zodiac signs as well as its corresponding birthstones. 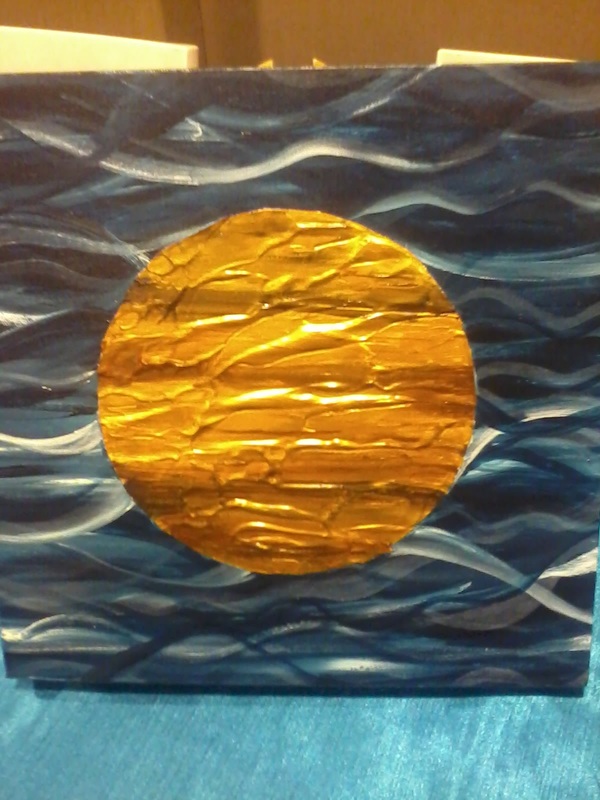 One of Juno's astrological portraits. Personally speaking, I am not into zodiac signs. 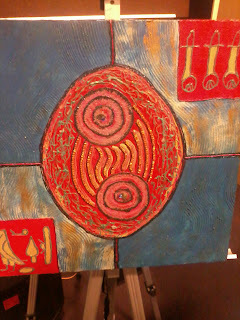 Although I know what my zodiac sign is, I am not familiar with what it’s supposed to be. I believe more in what each of us can do, if we have the will and the power to do things. But I tried to listen to Ms. Juno’s talk and I’ve begun to understand its very existence in human lives. During Ms. Juno’s talk, she also taught us how to properly clean the crystals as well as tips on how to choose crystals, how to differentiate fake from the authentic ones. I was even surprised to know that there’s a crystal that is sort of like a “Viagra”—a cure for the sexually impotent ones. 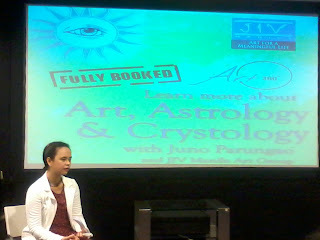 Juno Parungao talks about the healing power of crystals. As a token to those who came to listen and learn from her talk, Art 360 and JIV Manila also gave free 15-minute Tarot Card readings for everyone. I’ve only had one tarot reading in my life and that first time wasn’t impressive at all. 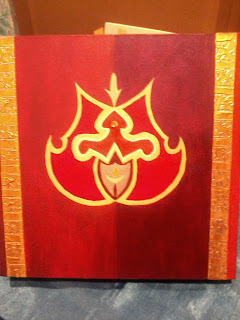 But this time around, even if I had some doubts at first, I was surprised by what the tarot cards showed. I didn’t need to ask questions—but the answers were all laid out before me. Of course, there were some things I could really say that isn’t true—like I was told I had not gotten over my last love. The cards said he’s totally moved on and that he’s now married. I knew that I had gotten over him a long time ago even before he got married. I should know, after all I was the one who called it quits. And two years ago, I even met him and his wife, details of which I even wrote it here on my blog. I must admit I had not found someone else after him, but it doesn’t necessarily follow that I had not moved on yet, does it? However, the rest of what the cards said seemed so true. 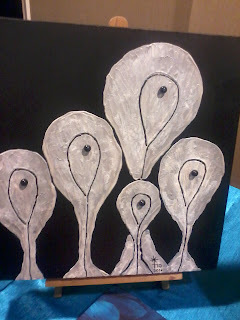 Indeed, the Tarot cards were able to see the subconscious side of me. 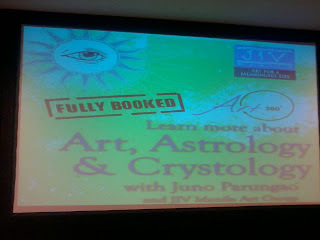 Ms. Juno gave us all enlightenment on the power of astrology and crystals. I couldn’t help but admire her talent for the spectrum of colors and textures displayed on each of her art works, apart from her knowledge in astrology. 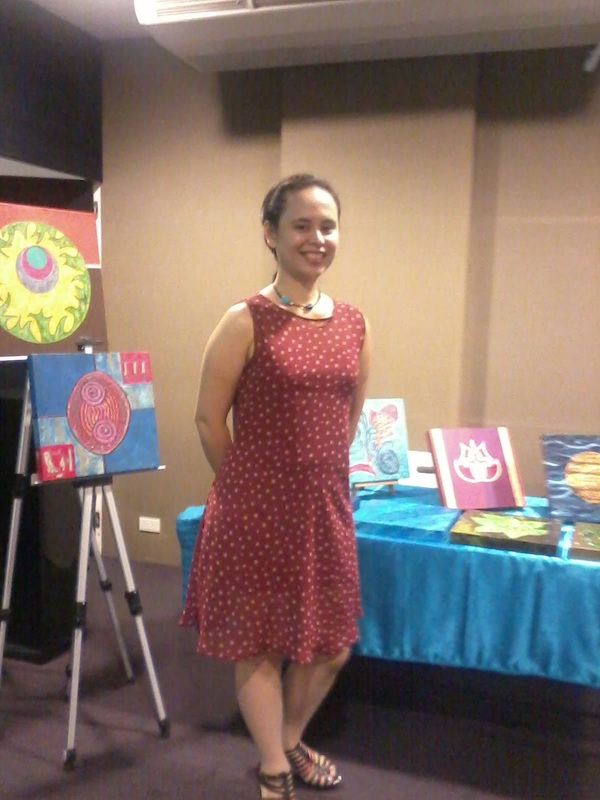 My blogger friends who went to see her art exhibit wanted to save money to be able to afford her astrological portrait soon (roughly around Php15, 000 each on a 20 x 20 canvass frame). 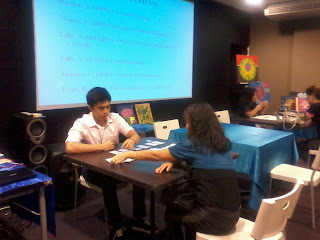 JIV Manila's Kevin Tabora reads Tarot Cards for the guest. Interested with Juno Parungao’s astrological portrait and her art works? You could still catch her work in JIV Manila’s upcoming exhibit called INSIGHT: SOLILOQUIES IN THREE with fellow artists Alain Austria and Crown Dolot at the GSIS MUSEUM beginning August 10, 2012. 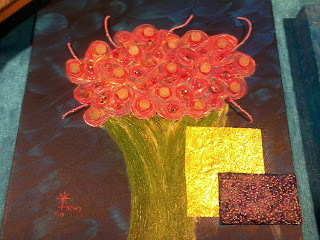 Exhibit will run until August 31, 2012. 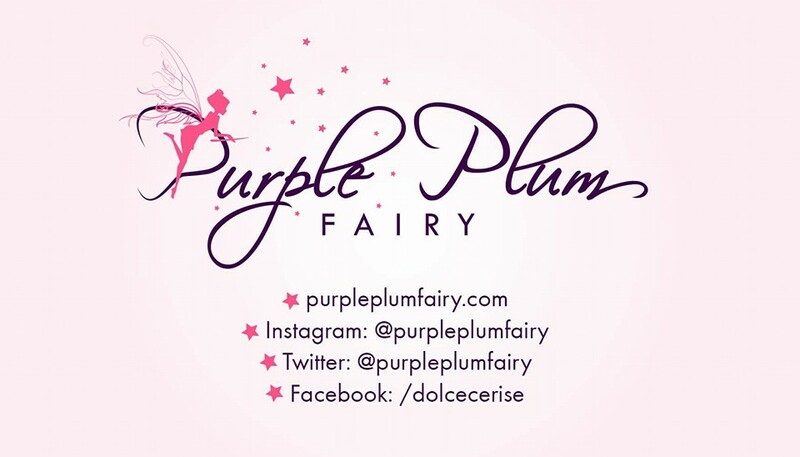 Purple Plum Fairy thanks JIV Manila, Mr. Kevin Tabora and Ms. Juno Parungao. WHY DO I DESERVE A MANDAUE FOAM RECLINING CHAIR?